Be My Eyes has reached the amazing milestone of surpassing more than 100,000 blind and low-vision signups. But even though we’ve come a long way, there’s still much more to be done. Picture of a young woman holding a phone horizontally in front of her eyes, which has a different set of eyes on the back. The background of the picture is white with colorful confetti raining down. The image reads: “Be My Eyes 100,000 Blind and low-vision users”. 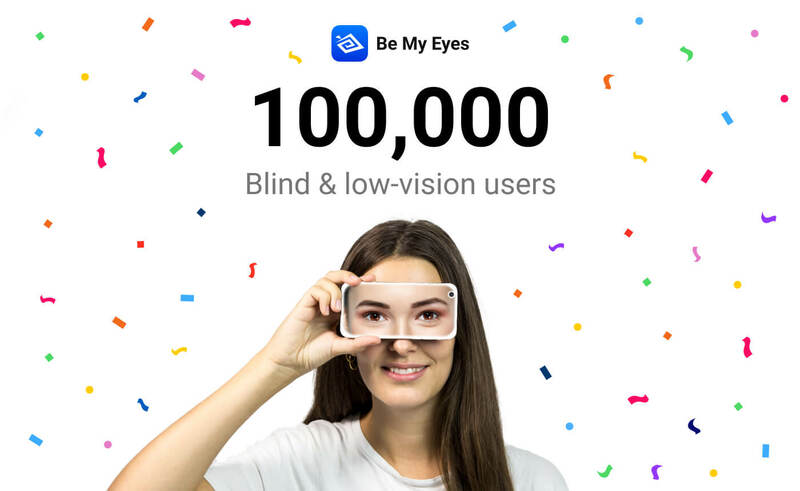 We’re proud to finally hit the big milestone of 100,000 blind and low-vision signups on the Be My Eyes platform. We’re extremely grateful for the support of every single user and volunteer, and we wouldn’t have been able to come this far without you. Since the launch of the iOS app in January 2015, there are many factors that have improved the Be My Eyes platform and service, and that have made Be My Eyes a go-to tool for more than 100,000 blind and low-vision individuals. Most importantly, the launch of the Android version of Be My Eyes has made it possible to reach many more blind and low-vision people, especially in emerging markets where Android devices are much more widespread than iOS devices. With the addition of the Specialized Help feature, it is now possible for blind and low-vision users to get expert help from Microsoft representatives for any issues they might face with their Microsoft products. We have high hopes for the Specialized Help platform and are currently working hard to onboard new interesting companies to make the service even better for our blind and low-vision users. Since the early stages of the app, we’ve also experienced a great improvement in answer and connection times, with the vast majority of calls now being connected within 30 seconds. Be My Eyes now also supports calls in more than 180 languages. With the help of the amazing community, we’re able to offer translated versions of the app and the website to make Be My Eyes even more accessible for people from all over the world. Even though we’ve come very far, there’s still much more to be done. We are extremely proud that 100,000 blind and low-vision users across the world are using Be My Eyes - but we also know that there’s a long way to the 35 million blind people and the 220 millions low-vision people worldwide. Even though 100,000 blind and low-vision users make Be My Eyes the biggest online community for blind and low-vision people, there are still so many people out there who have the potential of benefitting from the Be My Eyes service. 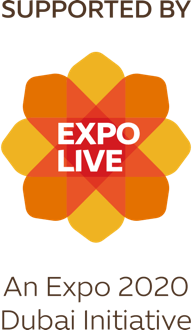 We hope that you’ll tag along for the journey of helping even more blind and low-vision individuals worldwide.